'If the intention and the work culture that exists now, if it existed earlier, one can only imagine the progress the country could have made,' the Prime Minister said. 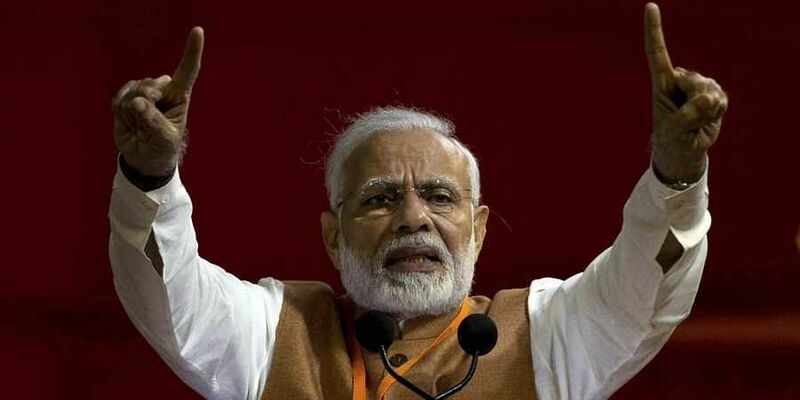 NEW DELHI: Prime Minister Narendra Modi on Friday blamed the "lack of intent" of previous governments making the nation lag behind in all aspects until the BJP came to power in 2014. Modi was addressing the 75th anniversary of Hindi daily "Dainik Jagran", during which, besides crediting the media for playing a major role in nation building, the Prime Minister dedicated most of his over 30 minutes speech in emphasising how his government in merely four years has ushered in all-round progress and put India in world reckoning. Enumerating his government's various schemes and projects and informing how the country has seen "unprecedented progress" in all fields, Modi said: "If the previous governments had done all this work, then how would they have pursued the politics of vote-bank, their politics of appeasement". "Can you imagine that Mizoram, Meghalaya and Tripura were not on the railways map before we came to power. Modi praised the media's role in turning his pet schemes ‘Swachh Bharat Mission' and ‘Beti Bachao Beti Padhao' into national movements. "To question the system is not only the media's responsibility but also its right and I welcome it," he said praising the media for its role in strengthening the process of nation building.